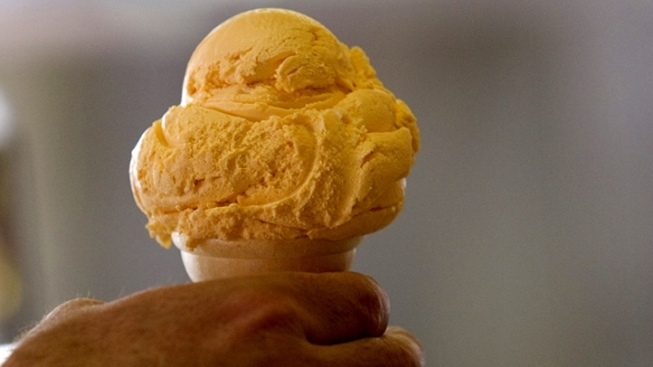 Follow a trail to 39 places in Eastern Connecticut for ice cream. A new tourism push focuses on ice cream. There is no better complement to a nice summer day than ice cream, and some fine people from the Eastern Connecticut Regional Tourism District have come up with an ice cream trail. The guide, “Sundae Drives” includes 39 fabulous places to get your favorite summer treat and some attractions near the shops and the Web site includes an interactive map. Something we love about the choices for the ice cream trail is the range of flavors. Hallmark Drive-In in Old Lyme has something called Hockey Fight ice cream. Ignore the fact that the white chocolate chunks in the cherry vanilla ice cream represent teeth and you have a tasty cone of cool deliciousness. The Sticky Fractured Finger Drawbridge Ice Cream in Mystic sounds scary, but there is nothing scary about the ingredients -- caramel ice cream with Butterfinger pieces and caramel swirl. How about ice cream made with beer or soy? You can plot your own summer sweet tooth journey on the Mystic County ice cream trail Web site. As if you needed more incentive to jump on an ice cream trail, the tourism district is offering the chance to win two $50 gift cards good for ice cream at your favorite stop along the Sundae Drives Trail. To enter to win, upload your ice cream trail imagesto the Facebook page. What’s your favorite ice cream place in the state? Let us know on our Facebook page.